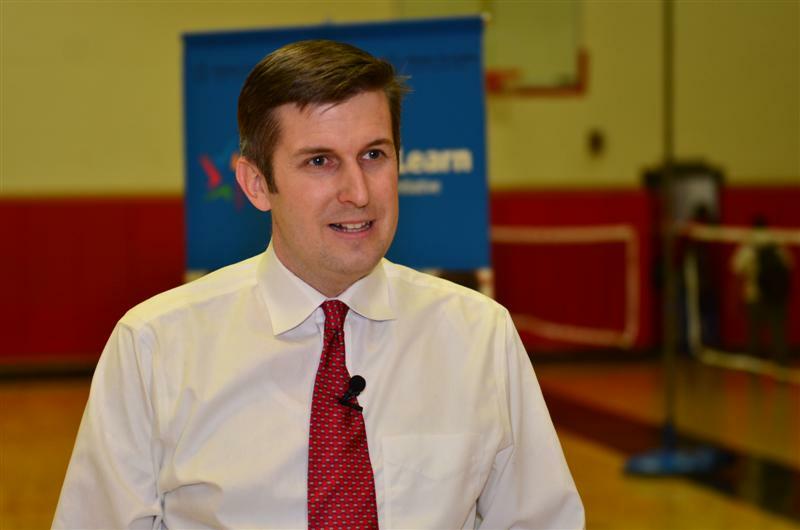 James Maroney, State Representative for the 119th (Milford, Orange), announced this morning that he has received the endorsement from the Connecticut Education Association for his re-election efforts. The Connecticut Education Association is an organization comprising of over 43,000 members that consist of current, former and future teachers in the State of Connecticut. In a statement delivered to Representative Maroney the President of the CEA, Sheila Cohen, said that the CEA has designated Maroney as a “CEA Friend of Education” and that the organization has given their endorsement for Maroney’s re-election in the 119th House District. Cohen went onto praise Maroney’s commitment to education in the General Assembly and being in advocate for teachers and students. In a press release that was posted on the Milford Patch Maroney said that he was “thrilled” to have received the endorsement from the CEA and pledged to continue working on behalf of public education. To have a strong, thriving educational system Maroney said “is essential to full and complete economic recovery”, believing that the foundation set by the educators will “lay the groundwork for the future success of our children”. James Maroney has been serving as State Representative of the 119th since 2013 and previously served on the Milford Board of Education from the 1st District as Majority Leader. Maroney is the owner and director of “First College Choice Placement” where students are prepped and tutored on the SAT and ACT tests. Maroney has an office in downtown Milford but recently First College Choice has opened up locations in Norwalk, Monroe and Wallingford. First College Choice Placement also partnered up with All-Star Driver last fall in an article covered by the Connecticut Post. This entry was posted in News and Events and tagged 119th, CEA, Connecticut Education Association, CT, Education, Educators, James Maroney, James Maroney-119th, Milford, Milford Democrats, Orange, Representative Maroney, Teachers. Bookmark the permalink.